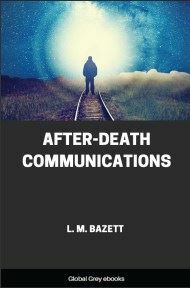 Chapters include: First Communications Received; Cases where some link with communicators existed; Cases where relations were present; Cases where relations were not present; Character sketches; Special relationships; Erroneous, confused and irrelevent matter; Guides; Super-normal sense-impressions; and, The Potential value of communication. 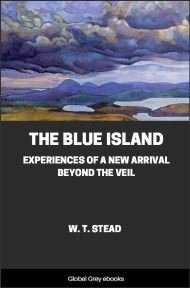 BEFORE attempting to give an account of the work done during the years 1916-1918, I should like to make it clear that before 1916 the whole field of Psychical Research was to me an unexplored territory. The great war which swept men from our midst in such rapid succession, touched our family circle at this time. A young relative, Lieut. Frank Thompson, was killed suddenly, after being at the Front for a few weeks only. After his death I was strongly impressed with the idea that he wished me to carry out something which, owing to his sudden departure for the Front and subsequent death, he had been obliged to leave unfinished. Unless I were supplied with a certain name and address known to himself alone, I knew that I could do nothing in the matter. After consultation with a friend, I decided to try the experiment of automatic writing, in case Frank were able by this method to give me the necessary information. I tried for ten minutes together, at a given time, during nine, successive days, without result, and decided that the tenth day should close the experiment. From the first I was very sceptical as to the possibility of obtaining any success, and should have given up the attempt sooner, but my desire to supply a channel of communication for Frank, if such a thing were possible, made me inclined to persevere. I was frankly amazed when on the tenth day (July 24th, 1916) an electric current seemed to rush through my arm and hand, with such force that the pencil which I held was thrown across the room. After this force had moderated sufficiently to make writing possible, the full name of Frank Thompson appeared, and with it that of his elder brother, Christopher Thompson, who had been reported "missing" a few months earlier, and unofficially reported killed in a letter received on July 17th, 1916. Shortly afterwards, the missing name and address were given. I wrote at once, asking if the name of Lieut. Frank Thompson were known to these people, and received a prompt reply in the affirmative; the letter stated that their son, then serving abroad, had been from time to time in touch with Lieut. Frank Thompson. As Christopher's name had appeared in the writing, and as he had been only unofficially reported killed, it seemed natural that I should ask Frank for more definite news of his brother. 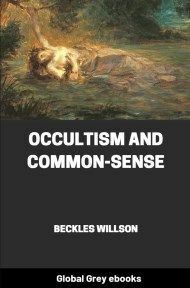 I think it well to mention here that on July 1st, 1916, before any automatic writing had been attempted, I had the following experience in connection with Christopher. I woke in the morning before it was fully light. My mind reverted at once to a letter. received the day before, mentioning particularly the suspense felt by Mrs. Thompson concerning Christopher; he had been reported missing," as already mentioned, in April, 1916, and in spite of continuous enquiry, no news had been, obtained. As I was thinking about this, Christopher himself appeared at the foot of the bed; 'he was in uniform, but wore no cap; his brow was puckered, and he looked distressed, and seemed to be trying to rivet my attention upon himself. He drew a newspaper from his pocket, held it before him, and looked at it. It dawned upon me that he was scanning the "missing" column, where his own name was placed. Glancing up from the paper, he looked straight at me, and repeated three times the following words: "I was killed...it could not have been otherwise, if you had known the circumstances." It was said solemnly and deliberately. Having said this, he walked round to the right side of my bed, close enough for me to notice the smell of his breath, and this awakened me to the reality of his presence. (There was a special characteristic fragrance about Christopher's person and breath, which was well known to me.) He vanished as suddenly as he had come, and I remained for some time pondering upon this experience. "I was sitting in here alone, writing to X—, when it seemed that Chris impressed his thoughts instead of mine. The thought seemed to be...It's like an impressionist picture...how stupid you are...you can't find the right words, or really understand...you don't want to look at the details...this is my message (Christopher's), not yours.'" The letter continues: "And that was all I could get. I seemed to have, or feel, Chris' impatient worrying over the inadequacy of the words. You know how he used to say 'Oh, how stupid you are.'" A second letter from Captain Marryat, dated August 4th, 1916, referred again to this experience. He wrote: "I had no feeling of Christopher being there, only of Christopher's thinking, and his impatience seemed to be that I couldn't find the right words, rather than at the idea; I don't think I missed that." Captain Marryat had no knowledge at all of my vision of Christopher. During the autumn of 1916, I received many written messages from Christopher; some were of an evidential nature mentioning names of people be had met "over there," and these were carefully verified. Some dealt with the new conditions under which he was living; one day he wrote: "Dying is really rather fun, you know, as we are so much happier here, and much freer to do lots and lots of things. You have no idea." When this message was shown to Captain Marryat, he remarked: "That strikes me as like Chris."